Taking a bow: Rabbi Stephen Pearce retires after 20 years at Emanu-El – J. 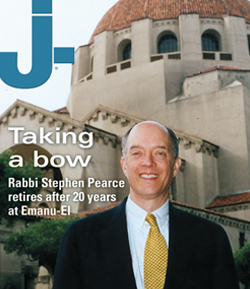 After a remarkable 20-year run, the Rabbi Stephen Pearce era at San Francisco’s Congregation Emanu-El is drawing to a close. The synagogue’s senior rabbi takes his final bow at Shabbat services this weekend. After that, he passes the yad to Jonathan and Beth Singer, a married couple who have been serving a Seattle congregation. They will become Emanu-El’s co-senior rabbis starting in August. Though he could have continued in his highly visible post, Pearce gave a simple explanation for his decision to step down. Those adventures include writing and teaching, but he is determined to leave the spotlight as he takes on the emeritus role. Scarce or not, Pearce’s impact on the Bay Area Jewish and interfaith communities will not soon be forgotten. During his tenure at the 163-year-old synagogue, he landed on Newsweek’s list of 50 Most Influential Rabbis three times. Major growth marked the Pearce years, with the synagogue’s member-households nearly doubling, from 1,400 when he started in 1993 to 2,100 today. That adds up to some 7,000 individuals, more than any one rabbi could get to know. Thus Pearce is proud of Emanu-El’s associate rabbis, each of whom developed his or her own constituencies under Pearce’s tutelage. One of those rabbis is Sydney Mintz, now in her 16th year on staff. The Chicago native was hired out of rabbinical school, and as an out lesbian, she wasn’t sure she could easily land a job in those more closeted days. In 2001, Mintz proposed a smaller, minyan-style contemporary worship Shabbat that might appeal to younger Jews. Pearce turned Mintz loose. Mintz’s colleague Jonathan Jaffe joined the clergy staff in 2006. He, too, has appreciated Pearce’s support, especially since he knows the hands-off style poses risks. Pearce, who holds a Ph.D. in counseling psychology, sought to make adult Jewish education a mainstay at Emanu-El. The synagogue’s Madeleine Haas Russell Institute of Jewish Learning, Emanu-El Scholar Classes and Tauber Jewish Studies Program, all instituted with Pearce’s oversight, achieved that aim. Beyond the temple walls, the senior rabbi has been active in the interfaith community, working with pastors, priests and imams to promote tolerance. Rabbi Stephen Pearce test-drives an electric car on a trip to Israel. 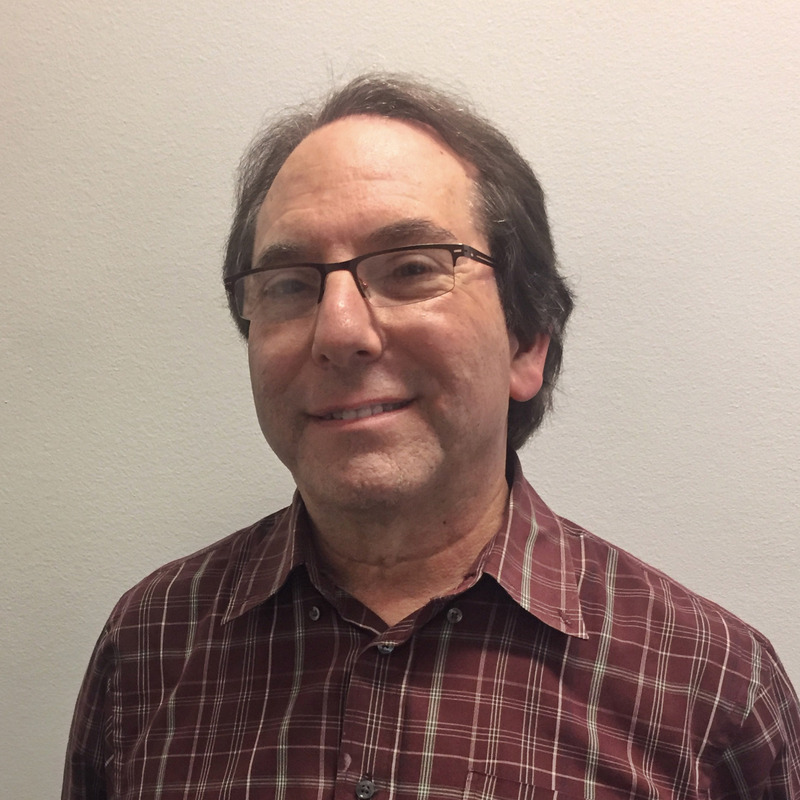 Rabbi Doug Kahn, executive director of the S.F.-based Jewish Community Relations Council, has known Pearce for decades. He “is held in high esteem not only within the Jewish community but also within the interfaith community, where he has built very strong relationships and where I have witnessed great respect for his intellect, humor and knowledge on countless occasions,” Kahn said. The Brooklyn-born Pearce came to Emanu-El after serving two other congregations, one in Forest Hills, N.Y., the other in Stamford, Conn., where he lived for 14 years. He wasn’t looking to leave, but a Reform movement colleague kept pushing him to scope out Emanu-El. Pearce finally relented. Once he took a closer look, he was impressed. Perhaps his closest colleague over the years has been Cantor Roslyn Barak, now in her 27th year at Emanu-El. She met Pearce while studying for the cantorate years ago. She agrees with Mintz and Jaffe that Pearce’s management style is one of allowing others to shine. She said she’ll never forget the time Pearce showed up at her door to deliver chicken soup and apples while she was nursing a bad back. Mintz similarly remembers Pearce pulling her off officiating a funeral because it was Mother’s Day. Pearce considers himself a husband and father first, though he had always sought to preserve as much privacy as possible for his wife, Laurie, and their two grown children, Michael and Sarah.